Fashion Friday – SA Fashion Week Kicks Off! South Africa’s fashion fans are abuzz as South African Fashion Week’s Autumn/Winter collections for 2015 kicked off in Joburg last night. The first night saw shows by Black Coffee and Gert-Johan Coetzee. 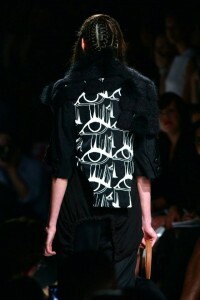 Fans were treated to previews of their collection prior to their shows. Jacques Van Der Watt the designer of Black Coffee previewed his autumn/winter 2015 collection which included collaborative work with the finest crafters from Ekurhuleni at his Arts On main store in Joburg last week. “Craft is a major contributing factor in contemporary fashion design. SAFW’s mission is to assist the crafts and craftsperson alike, to gain a foothold in the creative fashion design industry of South Africa,” says Lucilla Booyzen, Director of SA Fashion Week. It generates a substantial income for many of the crafters, whilst creating national exposure for master crafters. 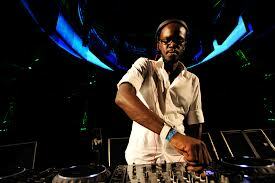 Black Coffee’s collection brought out fine and accessible ready-to-wear avant-garde designs. It includes hand-painted stockings with sparrows, highly fashionable silked screened bags. Hand-crafted accessories such as brooches and neckpieces were also seen in the collection. Incredibly detailed beadwork and double weaving finished added an extra bit of luxury and opulence. Der Watt, who worked closely with the crafters to get the effect and look he desired said he looked forward working with the crafters again should the project be successful. It was challenging at first getting to know the crafters skill level, but should the project go on, he says it would be like working with family. Coetzee gave a preview of his collection on the morning of his show. Coetzee, who is known to use his design to create messages of consciousness usedthis season he tackles HIV, creating awareness through an abstract print of dots, which represents how the virus looks through a microscope and a diamond shape which represents armor. “We are all so used to the image of the red Aids ribbon that we might see it without registering its message any longer, so for my Autumn Winter 2015 Collection I was moved to create new imagery that might inspire us to look at HIV with new eyes. Renewed awareness is what is needed if we are to change society and slow the infection rate,” says Coetzee. The designer, who is the brand ambassador for Swarovski Crystals incorporated a few into his design. 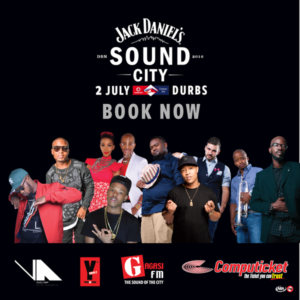 Sound City to Rock the Durban July!